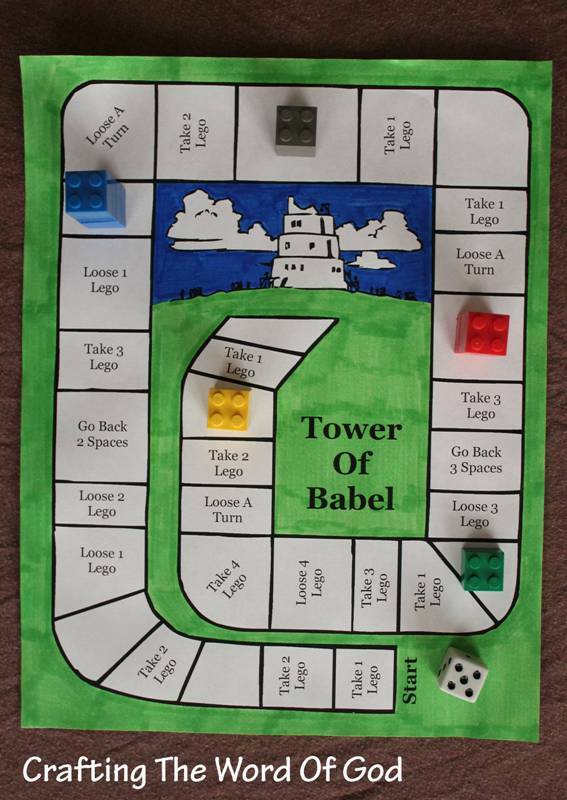 This simple, but fun game will serve as a great reminder of the biblical story of the Tower Of Babel. 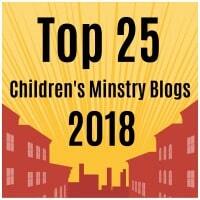 Get some legos, a dice and have fun. 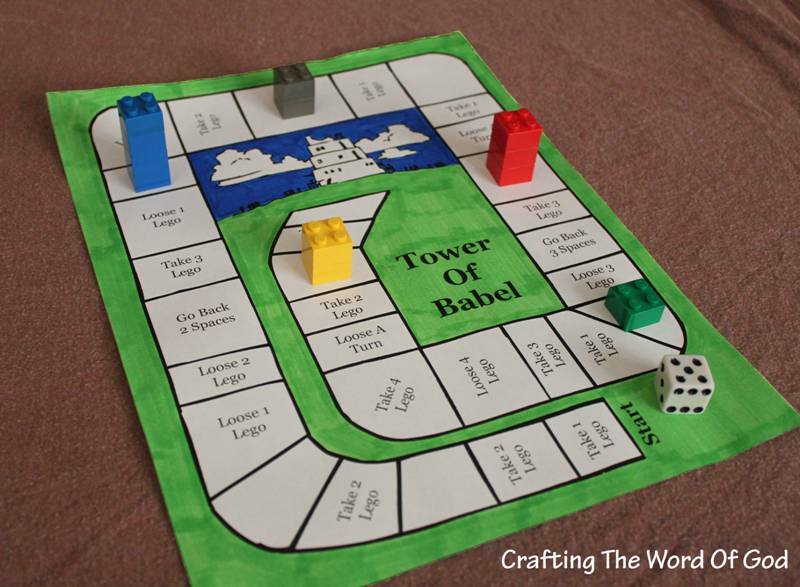 This entry was posted in Games, OT Crafts, Printables, Tower Babel and tagged Babel, bible crafts, craft, crafts, game, tower, tower of babel. 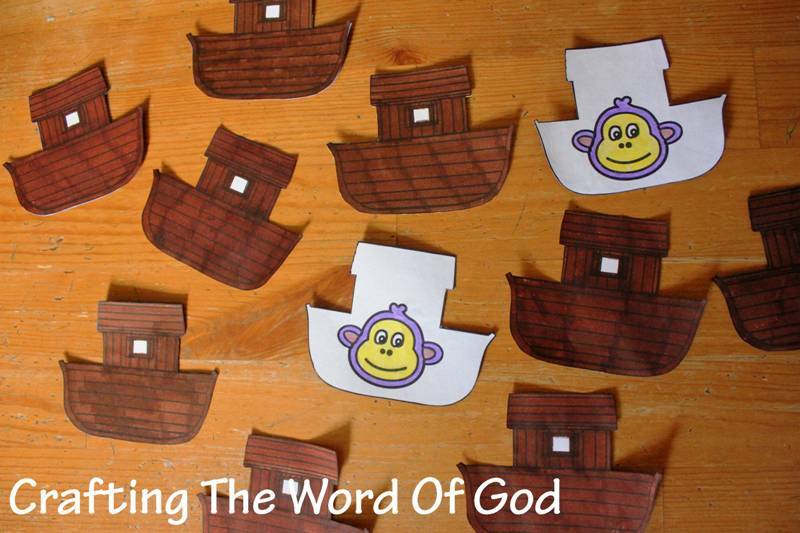 David and Goliath is the story of a young boy named David who wins a battle against a giant named Goliath through the power and dependence on God. Goliath is very intimidating and none of the Israeli trained soldiers dare to challenge him. Yet with God’s help David is able to take him on armed only with a slingshot and stone, without even wearing any armor to protect him. 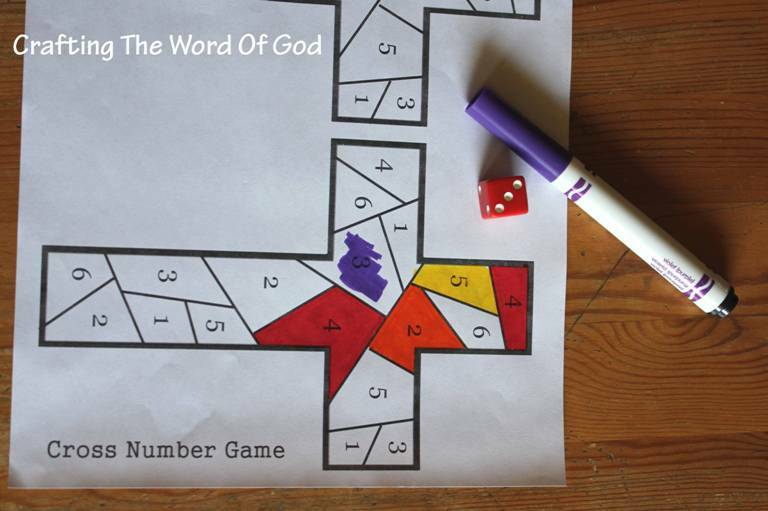 This game helps illustrate this famous story and can help teach children to allow God to fight their battles for them and to have faith in the strength of God, even against great odds. You can use a variety of items when you play this game to try and land them on the target. A few ideas: small/aquarium sized stones, gray clay dried out to resemble stones, small bean bags, crumpled pieces of gray construction paper. 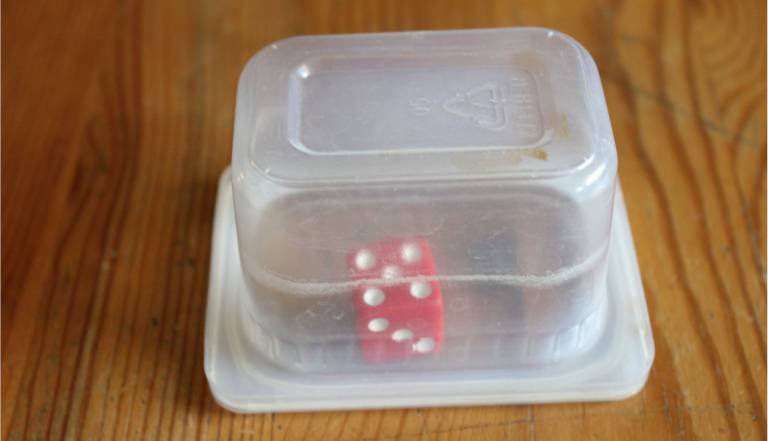 If you laminate the target you can flick dimes as if you were playing shuffleboard. 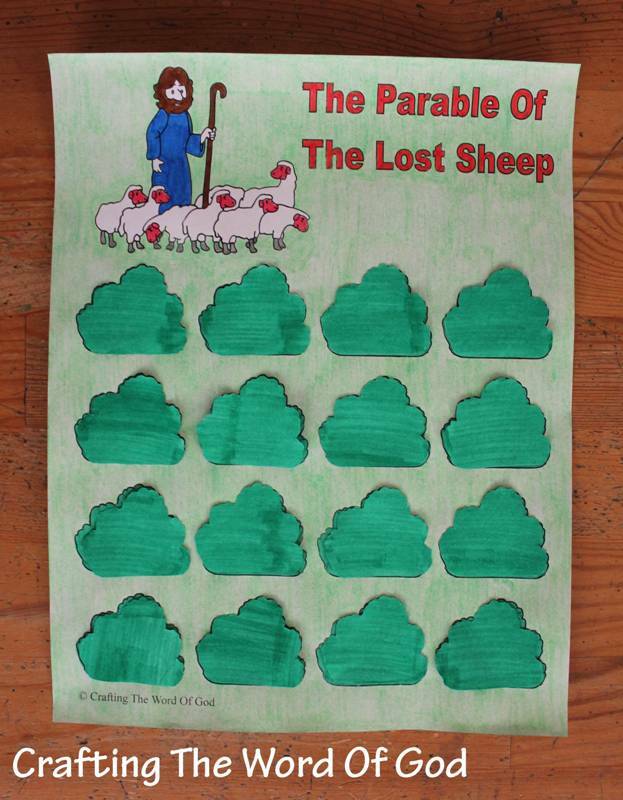 And for your older kids, if you trust them enough :), you can enlarge it and pin it behind a cork board. They can then try to hit the target using darts. Color and cut all three pieces. 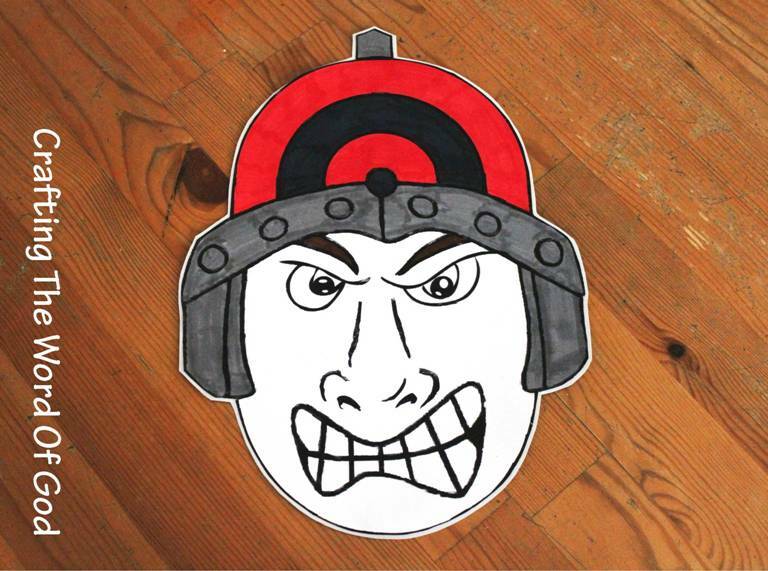 Glue the target onto the face piece. Finally glue the smallest piece on top of the target piece. 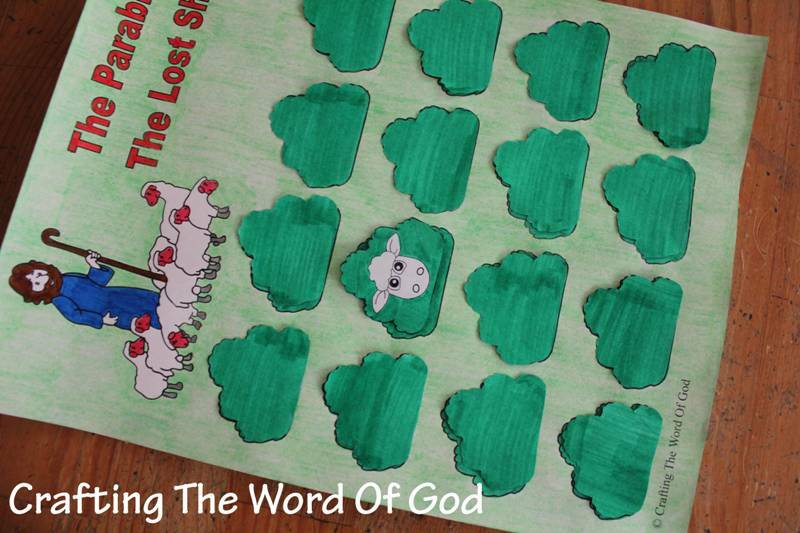 Optional: Laminate the target using self laminating sheets or contact paper. 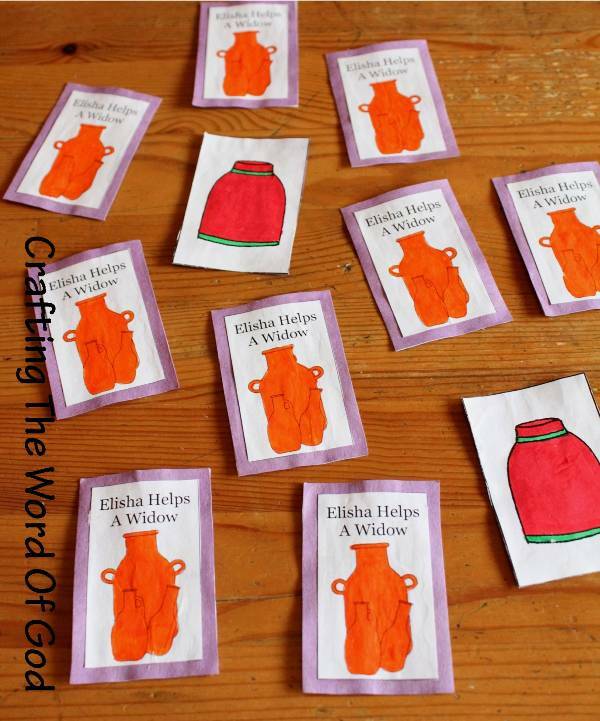 This entry was posted in David, Games, OT Crafts, Printables and tagged bible crafts, craft, crafts, David, God, God will fight for you, Goliath, power.